and the bustling historic towns and cities with their Roman treasures and art galleries reflecting back the beauty of this landscape. And none of the lows involved with trying to convert your own property in a foreign land! And who knows, maybe experiencing one of the guru's best places to stay in rural Provence will be enough to inspire you closer towards the big plunge… Or alternatively you'll have a wonderfully relaxing time bathed in glorious sunlight and eating well, and you'll keep coming back to your own pocket of Provence year after year. 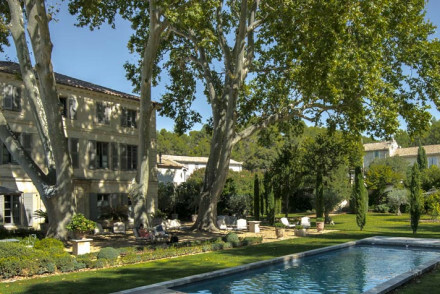 With its sunny terraces, large and lavender scented gardens and rustic farmhouse feel, Domaine des Clos is quintessentially Provence. This green-shuttered, stone clad, picturesque country retreat is the stuff of Provencal dreams. It's also very reasonably priced, with rooms starting from just £88 per night. Its varied and comfortable selection of rooms, family suites and self-catering apartments makes it one of the best places to stay in rural provence for families. Le moulin du chateau is beautiful in its simplicity and the reasonableness of its prices. It has the lovely lawns, lavender and art you'd expect, but its doubles, triples, quadruples and suites are peaceful and unfussy. Two of its ground floor rooms have their own private gardens, so this is one of the best places to stay in rural Provence if you really want to experience your own little piece of it. 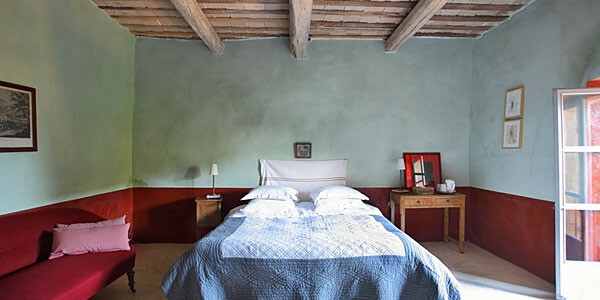 Where can you sleep peacefully in a farmhouse amongst vineyards, orchards, olive groves? L'Enclos des Lauriers Roses. This gorgeous old farmhouse feels more like a country house hotel, with its great restaurant, extensive wine list and four pools. It's also within a short drive of Nimes, Avignon and Orange, so is one of the best places to stay in rural Provence for people wanting to explore the history of the region without staying in town. 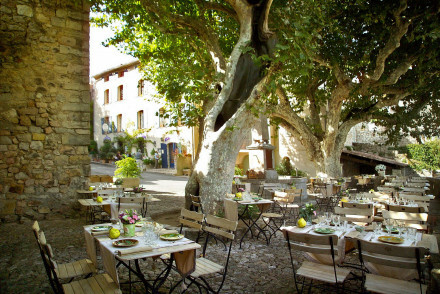 Les Florêts is a family-run hotel set in the wooded hills on a family-owned vineyard in the Gigondas region. The rooms, restaurant and terrace are elegant, and the views are glorious. If you're here in summer you'll also appreciate the outdoor dining terrace and the pool. Whatever season you're here you'll appreciate the excellent cuisine paired with, naturally, the owners own Gigondas. The 15 rooms here begin from just £64 per night, so this is an excellent option if you want to taste some of the best wines in Provence on a budget. If the sound of all that lavender and row upon row of vines leaves you cold, maybe you might also consider staying in a small village? Benefit from the clean air and peace, but put yourself within walking distance of a station, local food markets and restaurants. Many of the best places to stay in rural Provence can be found in the mediaeval villages and towns that dot the countryside. 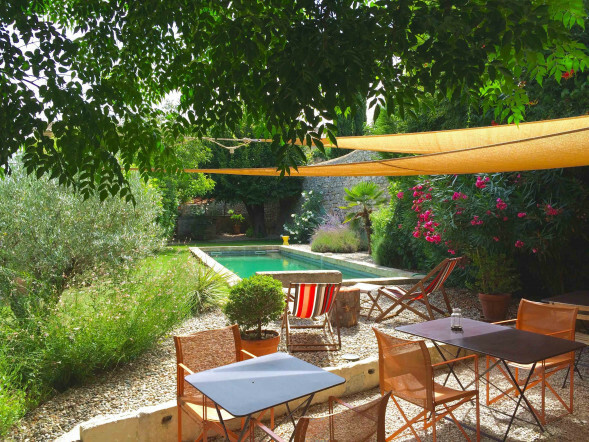 Maison Felisa is a charming B&B with a home from home vibe, situated in the pretty village of Saint Laurent des Arbres, just 15 minutes from Avignon. It offers just five contemporary chic style rooms (three with jacuzzi style bathtubs), plus lovely walled garden and outdoor pool. It's walking distance to the restaurants in town, but you can also enjoy maison d'hotes style dinners, featuring plenty of seasonal Provencal ingredients, on two evenings per week. 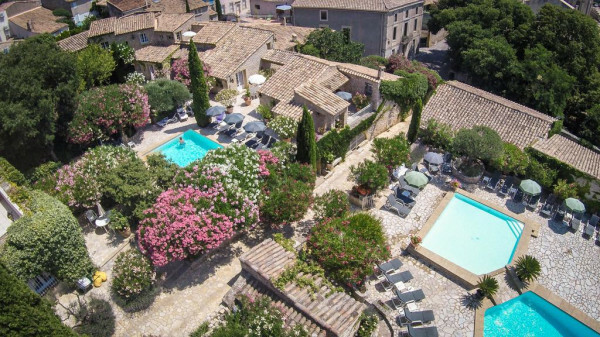 In a perfect medieval village, perfectly located for Avignon and Arles, La Bastide de Boulbon is as near perfect as it gets if you're looking for the rural Provence of tiny towns and spectacular views. 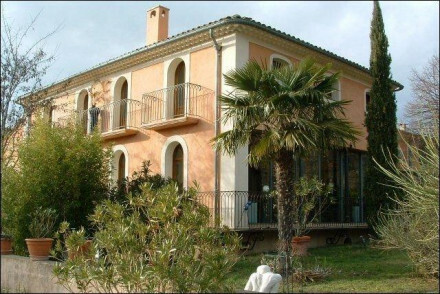 The bastide is, you guessed it, perfectly renovated, and set amongst beautiful rose gardens and terraces. And of course there's a small, but perfectly proportioned pool. Peaceful on the outside, comfortable on the inside, this place is…perfect for couples trying to get away together. 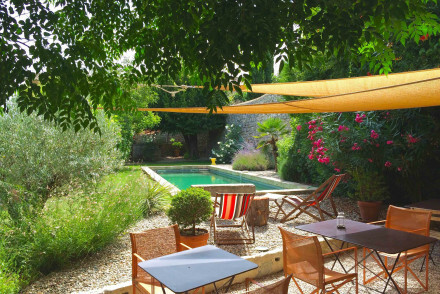 Le Petit Figuier is an intimate B&B situated in a charming village between Aix en Provence and Avignon. 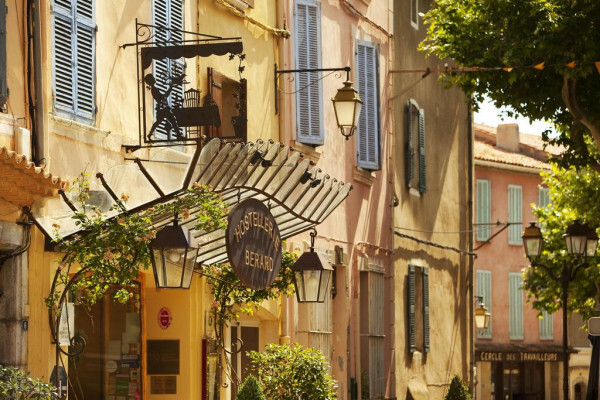 La Roque d'Antheron also boasts an annual international piano festival every summer, so you'll not only find restaurants here, but also bus services to and from Aix, Salon de Provence and Pertuis. While romance is on the cards, Le Mas des Carassins is one of the best places to stay in rural Provence for couples escaping to the country. 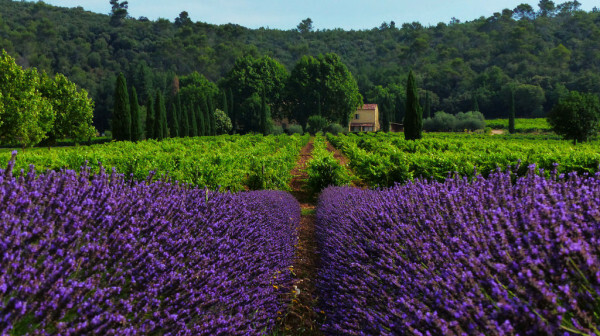 What could be more romantic than staying in a farmhouse surrounded by lavender and lemon trees in Saint-Remy-de-Provence? Not much. It feels like you're deep in the countryside here, but you're actually just a short walk from the town centre. Bedrooms and suites benefit from exposed stone walls and private terraces, and the whole hotel benefits from the feeling you get from the owners that nothing is too much trouble. Children are lovely, but there's a time and a place, and only the over 12s are welcome here. Simple, chic and full of character, Le Mas des Romarins is an excellent choice if you're looking for a rural hideaway somewhere very green. This 19th Century house has been sympathetically converted to retain all the of the charm of its secluded gardens and wonderful view. It's also just outside of charming Gordes, one of the most beautiful old villages in the region - you may have seen photos of this town looking luminous orange, its 12th Century beige stone glowing in the evening light. So this is definitely one of the best places to stay in rural Provence if you want to be close to a particularly lovely looking pub - or cafe/ bar. 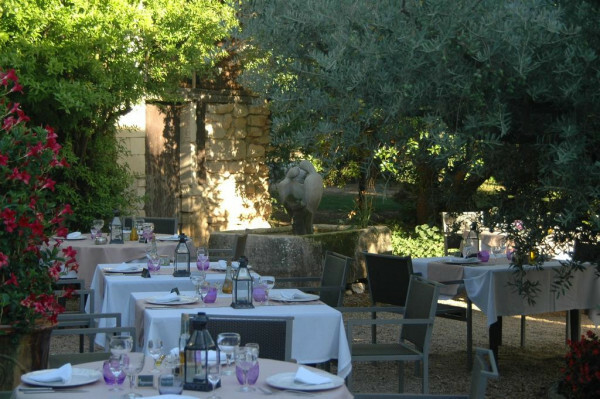 Provence has numerous excellent restaurants with rooms, but one of the best in a rural setting is the Hotel des Deux Rocs. The food is very Provencal, the views over the valley are sublime and you're close to both the charming local hilltop towns and the Côte d'Azur. This is one of the best places to stay in rural Provence if you'd rather be in a pretty little town than in the middle of nowhere. The pretty pink farmhouse which has become B&B, La Ferme Rose is just outside Moustiers, but it feels like it's further away - and possibly in another era? So it's perfect if you're looking for one of the best places to stay in rural Provence and you like things quirky and original. The charming owner, Kako Vagh, has done a lot of the decor, and is a passionate collector of wonderful things, so the public areas of this B&B are a wonderful treasure trove. The 11 rooms are fresh and simple - mostly white - and the breakfast is a cut above with good quality coffee and croissants and freshly squeezed orange juice. 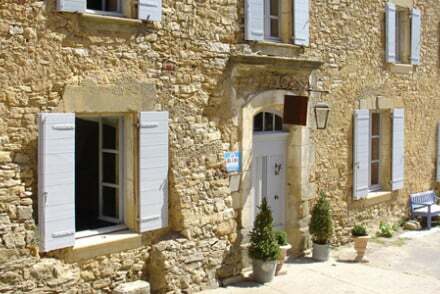 Les Sardines aux Yeux Bleus is a beautiful sandstone B&B in a charming little hamlet, surrounded by other charming little hamlets, so there are plenty of excellent local markets nearby. There's also kayaking, cycling, spectacular walking routes and wine tasting opportunities. There are three rooms and three apartments in this complex, along with a lovely swimming pool and garden, and its prices start from just £92 per night, so it's a great choice for families or groups looking for a retreat in rural Provence. 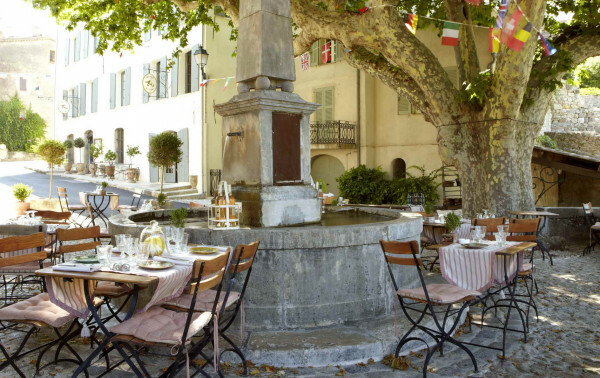 consider our Guru’s guide to the 20 Best Hotels in Provence for Foodies? 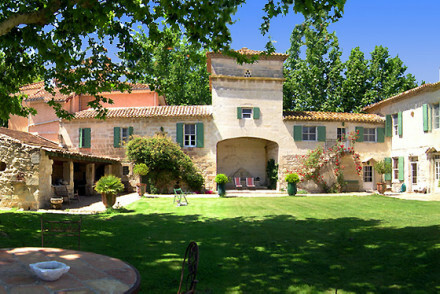 or the Best Wine Hotels in Provence? 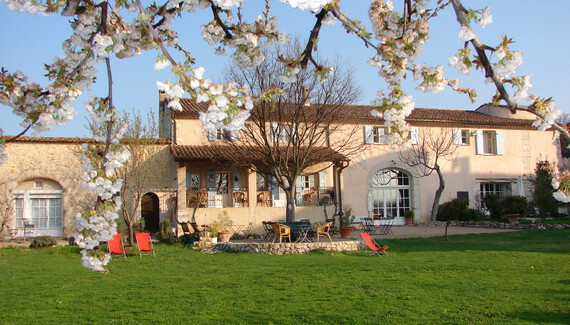 or the 20 Best B&Bs in Provence? or the 20 Best Boutique Hotels in Provence? Beauty here is in its simplicity. Peaceful rooms with minimal decoration, lovely lawns, lavender beds, artworks adorn the interiors. Doubles, triples, quadruples and suites accommodate families and groups of friends. A great spot to rewind and relax in. Quirky and charming pink villa b&b in rural setting. Simple, fresh white painted bedrooms. Beams, terracotta tiled floors and terraces. Pretty garden, large swimming pool with stunning views and vast collection of owner's objets. A quaint Provence property. Romantic Break - For romantic getaways take one of the balconied suites, with views over the valley and simple elegant interiors. Great walks - There are endless walks starting from the gardens and heading through the lovely countryside, get out and explore! Sights nearby - Visit the stunning Les Gorges du Verdon, one of Europe's most beautiful river gorges. Fishing - Fishing and sailing are available at the nearby Lac de Sainte-Croix. Beautifully renovated mansion surrounded by rose gardens in a charming medieval village. Cool, contemporary rooms with beamed ceilings, white washed walls and enormous sash windows. Excellent cuisine served on a charming patio. A lovely base to come and completely unwind. Country Escape - A charming country house situated in a pretty quite village, with stunning gardens and centuries-old plane trees. Sights nearby - Visit the medieval castle of Boulbon, the windmill and the Frigolet Abbey. 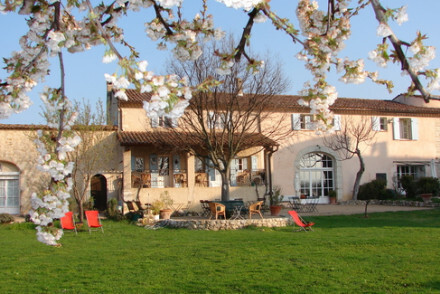 A charming B&B in the heart of Provence. Two guest rooms offer elegant accommodation and there's a pretty garden and pool. 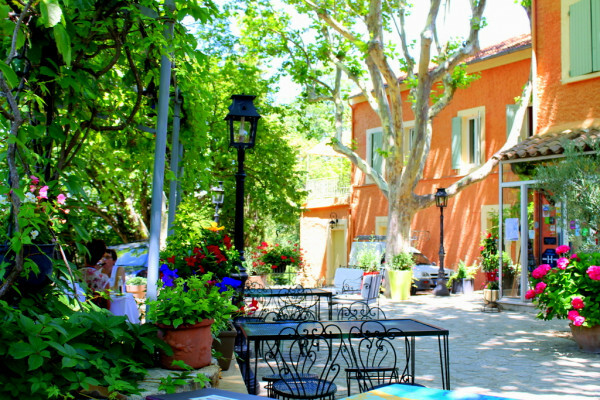 Easy access to the surrounding sights - Aix en Provence is 30 mins away - or a lovely spot for some grown-up relaxation. Sights nearby - Avignon is around 50 minutes away by car, but there is plenty to see and do on the doorstep. Authentic stone-walled 19th century house, with wonderful views, secret gardens, swimming pool and breakfast terrace. The chic Provencal-style rooms are full of character and the highly acclaimed restaurant crafts wonderful food from local produce. An ideal spot for exploring. Foodies - The restaurant is committed to using only the freshest locally sourced ingrediants, thus the yummy food changes each day. Local exploring - Well situated for exploring the stunning Luberon area, start with a stroll up to the lovely hilltop village of Gordes. Sights nearby - Just a few km away is the still working monastery the Cistercian Abbey of Notre Dame de Senanque. 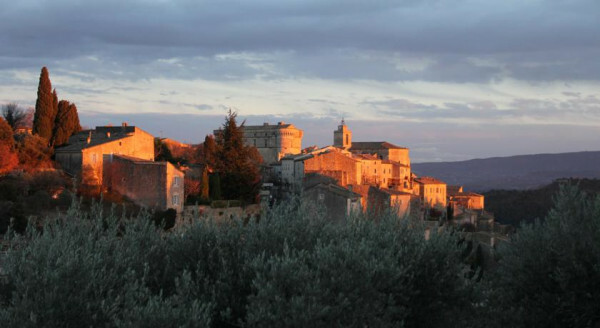 Great walks - Only a ten minute walk brings you to the historic village of Gordes, well worth checking out. A lovely hilltop hotel in a charming village with a Michelin star restaurant, excellent spa and wine cellar. Chicly decorated rooms and suites with valley views and private balconies. A hotel that indulges all the senses. A sublime restaurant with wonderful rooms and sweeping valley views. Excellent food and shady terraces, three family rooms sleep four, all in a stunning location. A gourmet spot fit for families and romantic breaks. Views - Wonderful views over the valley. 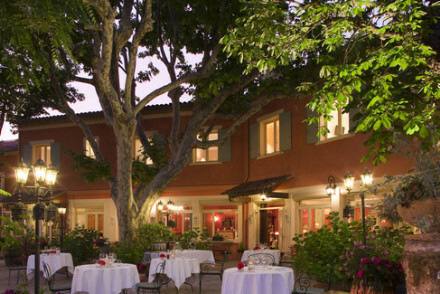 A charming family-run hotel set amid vineyards, lush gardens and century-old trees. Rooms are elegant and light. Excellent local cuisine is served on a shaded terrace with wine from the hotel vineyard. Lounge by the pool and enjoy the panoramic views. The ideal Provence property. Country Escape - An enchanting getaway- sip wine at the foot of the majestic Dentelles de Montmirail, surrounded by lush gardens and vineyards. Local markets - Check out the weekly picturesque Provençal markets displaying a wide range of local produce. Great walks - Over 300 km of marked hiking trails wind through lavender fields and vineyards. Sights nearby - Day trips are possible to Orange, Avignon or Vaison-la-Romaine.